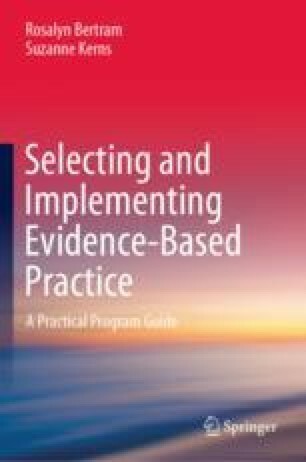 This chapter presents a history of the origins of terms and definitions of evidence-based practice, as well as the debates about them. While noting related elements, it differentiates a process of evidence-based practice and evidence-based practice models. In the second decade of the twenty-first century, consensus is emerging about terms and criteria for the extent of evidence necessary to differentiate less-proven from well-proven practices. American Psychological Association Presidential Task Force on Evidence Based-Practice. (2006). Evidence-based practice in psychology. American Psychologist, 61(4), 271–285. https://doi.org/10.1037/0003-066x.61.4.271.